Wedding Cake Table Numbers, Pink and Black, Whimsical, Dinner Table Numbers, Formal Wedding Table Numbers 1 - 50 Instant Download and Print. 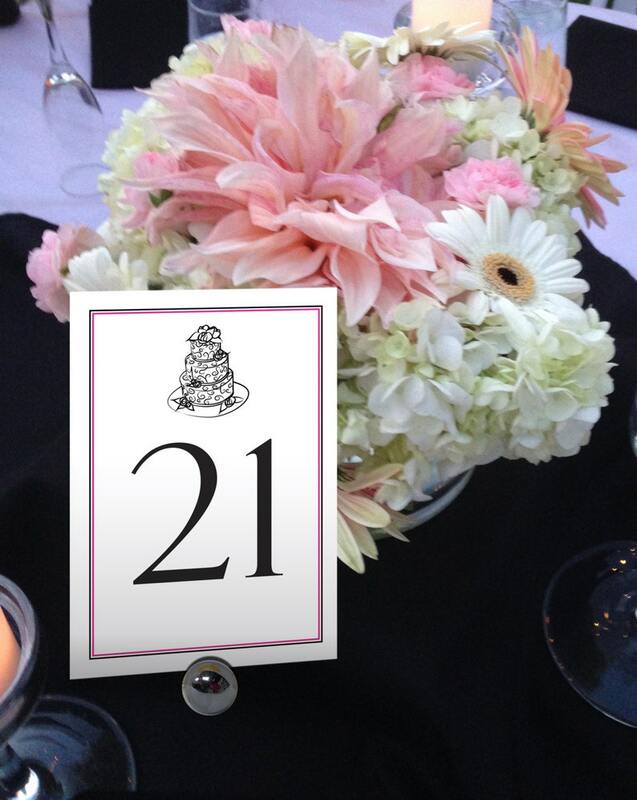 Add a romantic touch to your special day with these Wedding Cake Table Numbers, Pink and Black Table Numbers, Dinner Table Numbers, Formal Wedding Table Numbers 1 - 50, Instant Download Table Numbers. Great for the DIY bride or party planner looking for stylish wedding decor! Black and Fuchsia Border with Black Cake Motif and Numbers. ♥ LOVE THIS DESIGN BUT WANT A DIFFERENT COLOR? With this design you can change the border and numbers. Cross Table Numbers, Greek Cross, Traditonal, Formal Table Numbers, Vintage Table Numbers 1 - 50 Instant Download and Print.